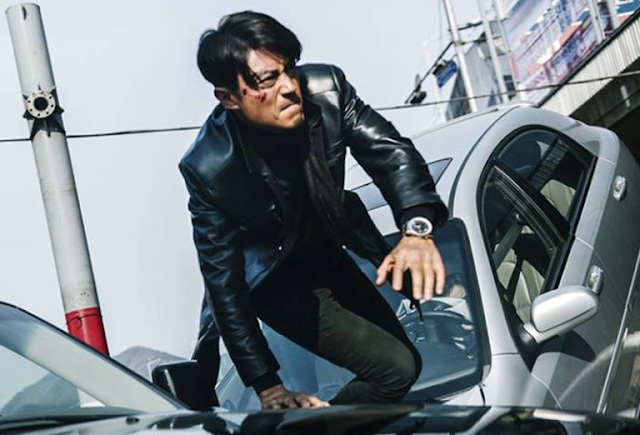 Trailer for upcoming Korean - Chinese film "Fatal Countdown: Reset"
The film will be released in China on June 30, 2017. Xia Tian is a single mother who works as an associate researcher, helping to complete a technology that can allow people to go back in time. One day, her son Dou Dou is kidnapped by a mysterious man and she was forced to hand over her life's work. She takes a risk and travels to a time an hour and fifty minutes earlier in hopes of saving her son. The film is a Korean-Chinese co-production. Executive producer is Jackie Chan. Let's hope this is not a bad omen, since Chan's standards of quality regarding his film projects have pointed downwards for many years. Korean director Chang, who debuted with the horror "Death Bell" in 2008, scored a hit with the thriller "The Target" in 2014. Chinese actress Yang Mi and Taiwanese performer Wallace Huo play the lead roles. Though the main cast is Chinese, the main names in technical credits of "Fatal Countdown: Reset" are all veterans of Korean cinema. Asian Film Vault: Trailer for upcoming Korean - Chinese film "Fatal Countdown: Reset"